You want to make people happy and to contribute positively to the world. You pay close attention to what the people close to you need. In fact, that's where most of your energy goes. You can't just stop taking care of the people and things you take care of. They are important to you. You value being a giving person and you don't want to sacrifice that. Being perceived as needy, unreasonable, unfriendly, unwelcoming, or overwhelmed. You know something needs to change. Being unable to say "no". Feeling stuck and hopeless, because it's not that easy to just "make time for yourself" when that would mean sacrificing other things that you care about. 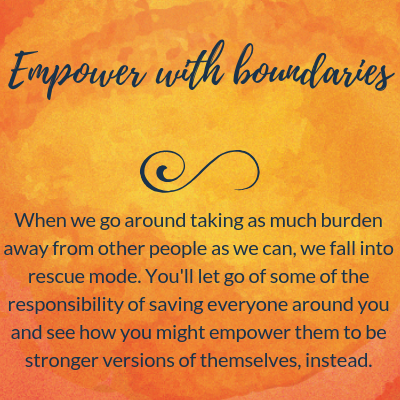 You believe there must be a way for you to find more balance without being wracked with guilt. Here's my proposal. i think you're ready. Take a journey of curiosity. Where you aren't so afraid to mess up and you feel confident and grounded in your lifestyle changes. Shift your inner voice (the one that twists the truth to keep you stuck in your old patterns), set powerful intentions, and take real steps to value your own needs. Appreciate how giving you are and work with your giving nature instead of trying to deny it. Because it's one of the best things about you. Acknowledge your uncertainty and all of the complexity of your life and move forward anyway. you don't have to figure it out by yourself. Integrated Self-Care (ISC) is a holistic coaching program that will help you let go of over-commitment, establish boundaries, and create a better self-care and support system so that you can finally make room for yourself. It's not a quick fix. It's a personalized, in-depth experience that gives you the space and tools you need to get back in the driver's seat of your own life. Be able to choose what your life looks like. You'll stop spending all of your energy on guilt, disappointment, and frustration so that you can experience more ease and contentment in your ever-evolving life. Gabriella is dedicated to her work, dedicated to her clients and to helping folks stick to their goals. 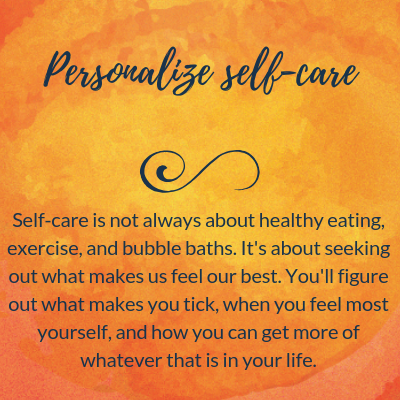 When I started Integrated Self-Care, I was frazzled, stretched, thin, and running on fumes. Through this program, I was able to reflect on my life and my needs and take concrete steps to set better boundaries. I’ve been pausing more and I have been aligning my actions with my values more. The modules for ISC were valuable frameworks for me, especially the ones on boundaries and support system. At the same time, Gabriella was flexible within the program. I particularly appreciated how she noticed that I was not super present one day, and stopped us so that we could consider my immediate needs and adjust the plan for the session accordingly. ISC covers six different topics, or intentions, that are essential for creating a life in which you are better able to care for yourself. We will cover these intentions and more over the course of Integrated Self-Care. 14 weekly one-on-one coaching sessions (60 minutes by phone or video chat). A reflective questionnaire before each session will help you make the most out of our coaching time. Action steps that we will decide on together at the end of each session will ensure that you take your new insights directly into your day-to-day life, integrating incremental shifts as you go. Email support in between sessions will encourage you to check in on your action steps and feel supported throughout this process. It’s hard to choose the best thing about working with Gabriella. In our time together, I discovered my desire to seek new work and creative expression outlets, I unpacked beliefs about parenting and family that were limiting me, I took practical action toward my ideal life, and I set thoughtful goals for my next steps. Gabriella has an ability to understand such a wide range of thoughts, concepts, and emotions and is so on top of catching details with a big picture perspective. i know it feels really complicated right now. As you might have guessed, I'm a lot like you: attentive, caring, intuitive and attuned to the needs of those around me. And I used to find myself exhausted from trying to be present for the people who depended on me, to play my part in my broader community, to have an active social life, and to fit in personal enrichment activities. It felt like I never had a moment to breathe. But I didn't want to give any of it up. Because all of these things were important to me. Nevertheless, I knew I needed to find another way. 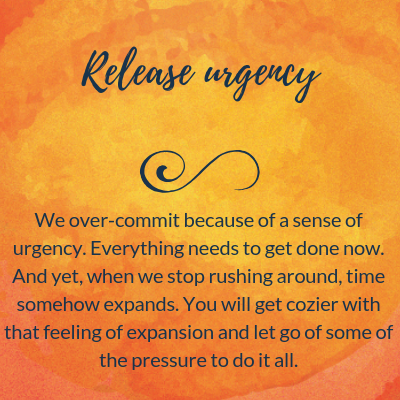 Over time (and with the help of many mentors, books, and journal entries), I learned how to embrace all of these wants and needs without constantly over-committing and over-stretching myself. And I want to give you a shortcut to this lighter, more sustainable way of being. Schedule a free 20-minute consult or send me an email so we can make sure this is a good choice for you. I’m very committed to the work I do and the people I care about. Before working with Gabriella, I was tired and stretched too thin. I believed in principles of self-care and wholeness in theory, but couldn’t manage to live those beliefs myself. I was unforgiving of myself when I failed to meet my own high standards, which was often. Gabriella understood what I struggled with, why it feels so necessary and yet so exhausting to be involved in social justice work, and the challenge of valuing my own well-being in the face of so much injustice and suffering. Working with Gabriella, I got tools to help me say no, to assert my need for peace and quiet, and to not be consumed with guilt. But I also got a deep dive into why I have those expectations of myself in the first place. I have resources to look to for support and inspiration, tools for making choices, and a new clarity about what I’m doing all this work for. I offer all of my programs virtually! We can work together no matter where you live. What do you mean by "Integrated Self-Care"? I call this program Integrated Self-Care because self-care is about so much more than improving your fitness or getting massages. It's about valuing your own needs and learning to recognize them and get them met on a daily basis. In ISC, you will truly integrate self-care into your life by making sure you have the foundations you need to do so, by receiving support and accountability, and by learning to take one step at a time with curiosity and patience until you have created a more fulfilling and sustainable life. If you have read this entire page and thought to yourself "that's me!" Integrated Self-Care (ISC) is for you. If you identify as a community leader, caregiver, people-pleaser, or helping professional, ISC is for you. I aim to be inclusive to people of all genders, religions, races, ethnicities, abilities, and backgrounds. If you aren't sure and you want to chat about it, shoot me an email. You will decide on the actions you want to take in between sessions based on what we’ve figured out during our time together. If you are having trouble coming up with an action step, I am always happy to help you brainstorm. How much does ISC cost? The total cost for ISC is currently $1190 $1145. This includes everything: the 14 one-on-one sessions, email support in between, and the pre-session questionnaires. ISC is crafted so that, by the end, you have all of the tools you need to go off on your own and continue to make confident choices about your life. If you find that you want ongoing support after ISC, you will have the option of "I Got Your Back" maintenance sessions as needed, for an additional cost. Accessibility of my services is important to me. I offer payment plans and have limited sliding scale slots available. Please email me or book a consult and let’s discuss. What makes you so sure I can have the life I want? You might believe that it is simply not possible in your line of work or in your set of circumstances to make time for yourself or shift your priorities. This is exactly why I do this work. Because if you look at your life on the surface, you’re right! There is no room to shift. So we take a closer look at the things you spend your time on and the voices that are telling you what you’re supposed to do, to paint a clear picture of what’s important to you. The result won’t be a fairy tale filled with jaunts in the woods and endless bubble baths. It will be the difference between continuing with the exhausting status quo and choosing intentionally what deserves your time and energy. Ready to make it happen? Book a consult now. I was eager to work with Gabriella even though my issues felt more messy and nuanced than just needing more time for myself, so I gave it a shot. In our time together, I truly have felt a profound felt shift in my life, increasingly aligning my thoughts and my actions with who I want to be. Our work covered so much ground on top of the general framework of the program, including changing my relationship to my creative process as an artist, engaging in a path to find new work, and finding more self-validation while navigating my many differing personal identities and spaces. Gabriella was able to help me sort through complexity in a practical way— sometimes I feel like I’m all jumbled and contradictory in my desire to push forward with lots of goals and dreams, while also finding more time just to relax and “be.” Gabriella created space for both of those truths to exist at the same time and guided me towards mindful ways to have both. If you are looking for more support in aligning your life to your values and desires in concrete, manageable steps, then you should check out Gabriella’s workthis program! Her programs are clearly designed for each individual client and can be molded to your unique circumstances. Working with Gabriella has really helped me to understand myself better. I feel an improved sense of security in who I am and how I’m running things in both my business and my life. Before we started, I was anxious and worried about how my professionalism was viewed by others and whether I was taking the right steps toward the dream I had. Gabriella’s helped erase a decade of bad work experience and institutionalized ‘isms that had really damaged my confidence. She helped me re-find that fierceness I’d packed away. I feel real. I’ve re-established who I am as a professional, grown more resiliency, and say “f*** it” more often. Gabriella was incredibly professional. Her patience and guidance has been exceptional. I’d say mums, business owners, people with lives that are so filled with responsibility that they find it difficult to breathe, should all work with Gabriella. But, I share her blog posts with everyone I know because her advice and perspective applies to any situation. I help people who have built their lives around taking care of others to take care of themselves. I show them how to sort through the noise of their competing priorities to figure out what is important to them, how to have a healthier relationship with time and time management, and how to stop feeling guilty so they can finally create the intentional life they deserve. I have been working in interpersonal relations and personal development since 2011, using applied theatre, facilitation, and life coaching to help thoughtful and compassionate people make change in their lives. I live in Wayland, MA with my husband, Louis, and thrive on performing in community theatre, creating amateur pottery, and jumping in the ocean . Read more of my story here.